Angie Stone has paved a way for artists to join their gospel roots with catchy melodies and rap flows...making her a true pioneer of Hip-Hop/R&B and Soul music." Faith Evans "I love her music, real soul music." 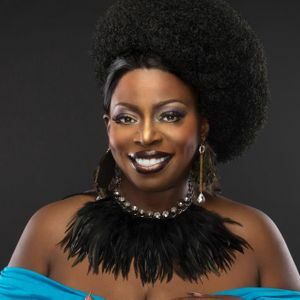 Al Green Grammy nominated singer Angie Stone is one of those artists with a Midas touch. Her buttery smooth honey-toned pipes, undeniable gritty soulfulness and epic songwriting talents have been called upon by everyone from Mary J. Blige, Stevie Wonder, D'Angelo, Alicia Keys, Mantronix and Lenny Kravitz.